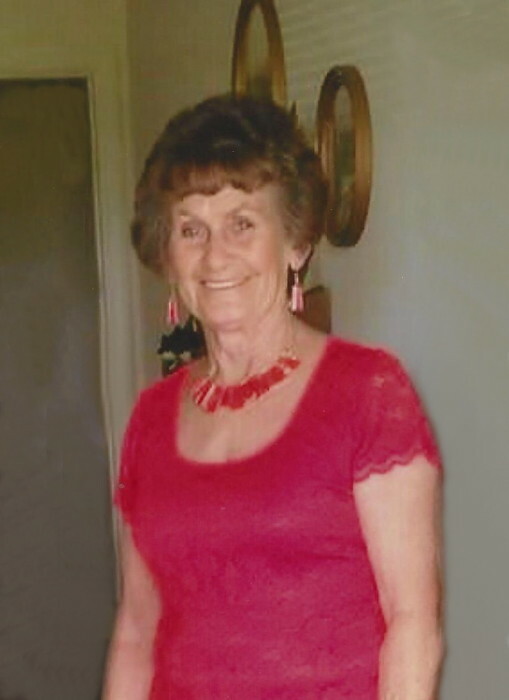 Letha McKenzie Coker, 79, wife of the late L. O. Coker, died Thursday, March 28, 2019, at Kingstree Nursing Facility, after an illness. Mrs. Coker was born on July 4, 1939 in Williamsburg County, daughter of the late Wylie and Lottie Beard McKenzie. She attended Barrineau Pentecostal Holiness Church and enjoyed working in her yards and spending time with her grandchildren. Surviving are her daughters, Sharon Kay Coker of Scranton, Gail Coker Evans of Lake City and Lynette Coker (Howard) Watford of Lamar; grandchildren, Kyrstie D. (Walt) Coker of Manning, Sonia (Adam) Parnell, Rachael (Eddie) McKenzie, Justin (Jennifer) Rogers, Travis Terry (Whitney) Coker, Skip (Rebecca) Evans and Chasity Miles Anderson; sixteen great grandchildren; two great-great grandchildren; sisters, Vera Coker and Christine Spring, both of Barrineau and Marie Eaddy of Lake City; brothers, Doug (Elsie) McKenzie, Dean (Dessie) McKenzie and Randy (Lynn) McKenzie, all of Barrineau. Mrs. Coker was preceded in death by a son, Terry Ello Coker; two infant great grandchildren; brother, Durant McKenzie and sister, Juanita McKenzie Barrineau. Funeral services will be 3:00 PM, Sunday, March 31, 2019, at Carolina Funeral Home Chapel, Scranton, with burial to follow at Lake City Memorial Park. The family will receive friends from 2:00 – 3:00 PM, Sunday, March 31, 2019, at the funeral home, prior to the services. Memorials may be made to Kingstree Nursing Facility, 401 Nelson Blvd., Kingstree, SC 29556.